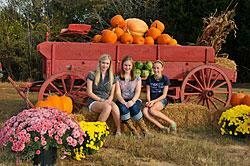 If you are looking for the perfect pumpkin this fall, come on out to Brownlee Farms. 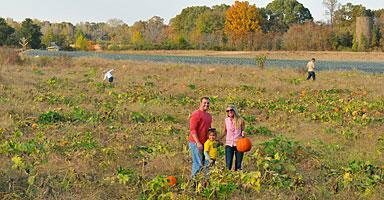 Most of our pumpkins are still attached to the vine waiting for you to choose just the right one...huge pumpkins, tall pumpkins, fat pumpkins, and pumpkins of many colors. You are free to spend as long as you want finding the perfect pumpkin. 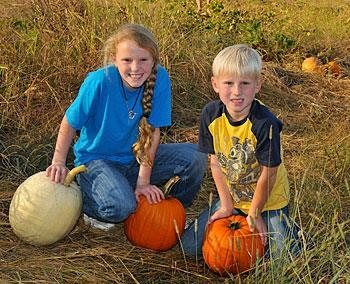 We do have pumpkins available, already picked, available for sale. Also, if you do not wish to participate in the other activities, you may purchase your pumpkins at our farm market without paying admission. Your choice, of course! 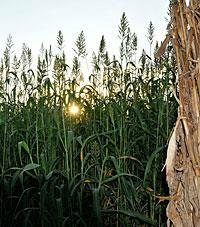 Corn mazes are very popular throughout the country, but here in northern Mississippi we've grown a unique maze of sorghum sudan grass, which makes a great dense green foilage to enhance your maze experience. There is only one entrance, and only one exit, but you'll find our winding trails divide and twist and turn--its a whole lot of fun trying to find your way out of this a-maze-ing five acres!